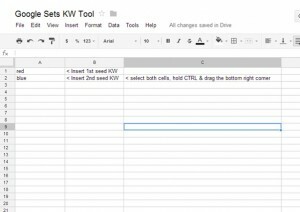 With all the fuss about AdWords sunsetting their external keyword tool my thoughts turned to which other tools I use to find and expand my keyword lists. Now, I’m not saying some of the ideas below are earth-shattering and I would hope that if you’re managing your campaigns efficiently you’ll already be aware of and using a few of these but there might also be a few in there that surprises you. 1. AdWords Search Terms/ BingAds Search Query Reports – These reports will show every search query that resulted in your ads being shown (and then clicked). Using these details you can then see any additional positive keywords that you should target whilst also identifying those terms that you need to add to your negative keyword lists. 2. 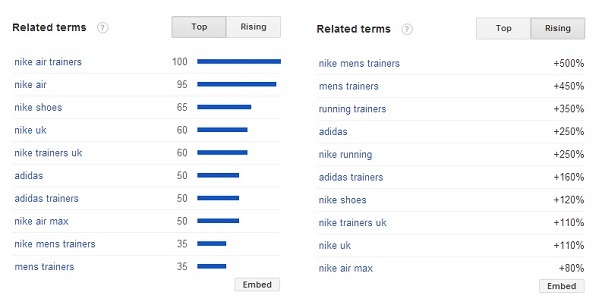 Google Trends – Not only is Google trends great at showing you the level of interest surrounding your initial query it will also show you the 10 related terms based on what people are searching, they also break this out into the top 10 as well as new ‘rising’ terms. 3. Product Listing Ads – Hopefully, now that PLAs have been around for a while everyone is aware of the little workaround that lets you see which keywords triggered the ads but for those who aren’t if you head over to the keyword tab (yes, it will be empty) you can still select ‘Details’ and view the search terms that fired. Not only, will this help you build out your PLA campaign but as you can serve both text and PLAs against the same query it will help you expand your regular text ad coverage. 4. Bing Ads Intelligence Excel Plug In – This tool lets you download your existing keywords and find new terms based on your current inventory as well as building lists from suggested keywords, showing you historical traffic and cost data. You can download it from the ‘Tools’ section in your BingAds account. 5. AdWords Display Planner – This is replacing the Contextual Targeting Tool, which in turn, took the place of the old Google Wonder Wheel tool in the hearts of advertisers (ah, the good ol’ wonder wheel) as it identified related keyword themes that you could then dive down into. This new planner is very similar to the keyword planner (#8) and will give you related topics based on your initial query. 6. AdWords Opportunities – Yes, these ‘opportunities’ might be geared more around you spending more but there are occasionally some keyword ideas in there that at the very least will help you increase you negative keyword lists. 7. Facebook Suggested Likes & Interests – Anyone who advertised on Facebook will be aware of the quirks in their Adverts Manager, however, the amount of data they have on their users is staggering (and quite scary). Anyone who has advertised on FB and has used their Adverts Manager will know that it has its quirks but one thing that’s really good (for us advertisers) is their advanced targeting options. Basically, here you can put in what interests you think your audience will have and if FB have the data (which, let’s face it, they do) they will come back with some other suggested likes and interests. These may not be directly applicable to your core keywords but if you’re looking at other ways of expanding your coverage then they will definitely give you something to think about. 8. AdWords Keyword Planner – This new planner is basically an amalgamation of the old AdWords Keyword & Traffic Estimator tools and will show you potential new keywords as well as the search volumes. It’s still pretty new and I know a few people are upset that the old keyword tool is going (mainly, I think, because you didn’t have to be signed in to use it) but I reckon this tool is pretty good although maybe not the most user-friendly (as with most AdWords tools unfortunately). 9. Non Brand Organic Keywords from your analytics provider – I know that the SEO vs PPC debate still goes on in some quarters (really guys? 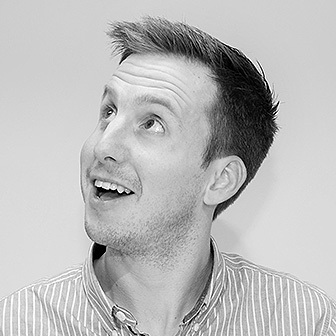 It’s 2013, get over it and let us help each other) but if you’re really looking at how visitors are getting to your site then you shouldn’t just be focussing on your own channel. Take a look at the bigger picture (hear that guys, the BIGGER picture) and look at all the potential ways that people have found you. A great way, and by no means the only way, to do this is by digging through the non-brand keywords people have used to find your site. In Google Analytics, these can be found under the Traffic Sources section (With the use of a custom advanced segment) but in other providers you might have to dig around a bit. Now that you’ve got this data you can compare it to what you’re covering off in your campaigns and spot any areas where you need to rethink. If you are looking in GA at this data, you will invariably run into the scourge that is (not provided) – which is something for another day, maybe – but there’s still plenty of great finds to be had. 10. 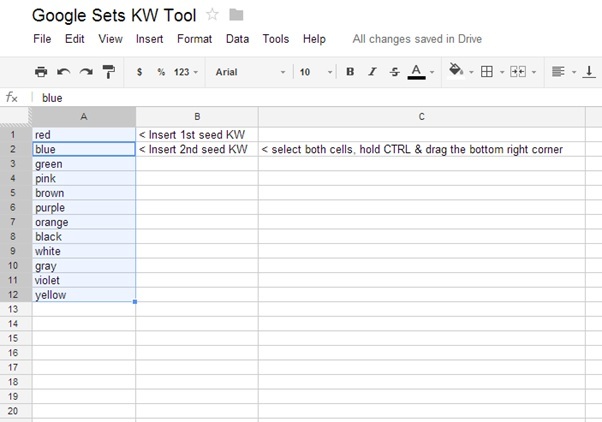 Google Sets (hidden in Google Docs Drive) – Up until fairly recently I always thought of this as my little secret, that is, until another bright spark also spotted that if you put in 2 seed keywords and then drag down the bottom right corner of the second cell (whilst holding CTL) Google Sets automatically fills the cells below with similar keywords. Now this doesn’t really work with long lists of terms but if you’re after a dozen or so more seed terms then it’s a great start. 11. The SEO Spider – I know this might seem a bit self-promotional but the spider is also a great tool for finding out what type of keywords are actually on your site. Simply crawl the site and take a look at what page titles, H1s the site is using. Also look at the meta descriptions & keywords as well. Sites get updated all the time and unfortunately news of these changes isn’t always shared. Do your campaigns match up with what the visitor expects to see when they land? 12. Übersuggest – Übersuggest is a great free tool that uses the Google Suggest service to pull back the various suggestions plus other variations/ ideas. A really, easy, quick way of grabbing those related ideas. 14. WordStream Keyword Tool – WordStream’s free keyword tool will let you run a limited number of searches and once you put in your seed keyword it will give you the results from its massive keyword database, noting relative frequency as well as other insights. 15. Amazon – Amazon have a really good site structure and you can use this to your advantage if you’re looking at building out your ecommerce keywords. 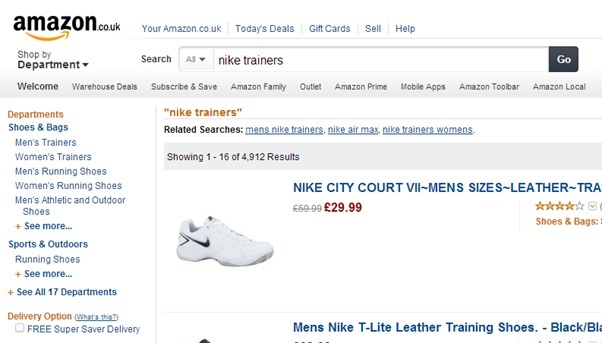 Take a look at the screenshot below and you can see that for my ‘nike trainers’ query amazon have nike trainers listed in 17 different departments! A great place to start if you’re looking at building out your lists. As a final gift, here’s one idea that you might think is a little crazy. This next ‘tool’ isn’t really a tool and isn’t something that you can use across every market but when you’re looking at those terms that could potentially cost a lot of money and you really need to make sure that your negative keyword lists cover off all the bases, I go to the IMDB. Not only is this site awesome for finding potential negative KWs when you already know that there is some sort of cross-over but it’s also brilliant even when you think there couldn’t possibly be any movie connection. Trust me, over the years I’ve learned that there is no end to the weirdness of some the queries people use to search the web and so by checking on here first I can see if there is anything untoward that I need to know about. Anyway, I hope you find some of the tools mentioned on this list useful, and if you’ve already heard of/ used some of them then hopefully I’ve jogged your memory about how useful they can be. What other keyword tools do you guys use? Have I missed any that should get a special mention? Let me know in the comments & I can add them! Great post Matt! However, I think the list should include Mergewords (http://mergewords.com). A nifty little tool I always use to quickly generate large lists of keywords. Great for discovering potential quite fast. Thanks for the comment. Nice, that looks really good. It’s a lot like the keyword multiplier in AdWords Editor (which is awesome). Thanks for adding it to the list! I am using primitive word counter. Very nice tool for finding most used words / phrases in a text. @Roald – that’s an awesome tool!! Thank you so much for sharing that link! Been looking for something like this for a while. Matt, you should do a review of it! That is a very good list Matt! I usually always use one tool in particular which is free and most people use without even knowing it. 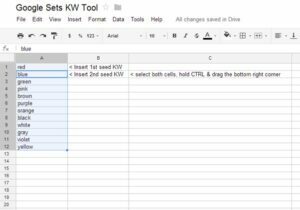 Type your KW into Google and let them do the work with their suggestion drop down menu before you hit search. Thanks for the list, trying some of these out today! Hi Jake, thanks for the comment. If you use the Google suggestions, you’ll love Ubersuggest! Thanks for your great post Matt, but I have a question. Will it be helping to check global keyword competition? Übersuggest has to be my favourite of that bunch. A really cool list. As mentioned above Übersuggest is a really cool tool, and one of my favourites too. There is also a tool that gives you suggestions based on what people search for on Wikipedia, called WikiRank http://wikirank.com, I like that one. Besides, I’ve been playing with WebmeUp tools http://webmeup.com, and they have a nice keyword research module. Thanks for the comment. Wikirank was pretty good when it when it was around, shame it disappeared when Brizzly shut down. I’ll have to check out webmeup and see what they can do. I’ve been using many of these tools for a while and all of them but I’d say Screaming Frog is my best friend when it comes to SEO. It helps you identify most of the on-page issues from an easy to use dashboard. No need for browsing endless instructions and learn how to use the tool it so obvious and you can figure out in ten minutes yourself. Simply brilliant! If it helps, here’s another tool which brings in suggestions from Google. It’s called KeywordSuggest (keywordsuggest.org). What I like most about it is that you can use the * in the query, for example * reviews. You can also drill into more ideas with a specific letter, say l* reviews. I usually use this one along with Google Trends and Planner. Übersuggest, Spyfu and Spider are great tools! Hey Matt, It’s amazing list man. The list turns out to be very helpful to me. Thanks and keep your Good work sharing on! Looking up some reference material for a SEO keyword seminar I’m giving. Glad to find a few other tools here to add to my resource sheet. Great resource Matt thanks for compiling the list. 10. Google Sets – actually doesn’t work just populated the cells with the contents of the second cell !! I found four free alternatives and four paid alternatives that I suggest business owners and marketers consider adding to their resource and research routines. hey matt thanks man for such handy tools. i think all of them is not free. and thanks roald it is quite new for me that such sites also exist . wordstream paid version is best one. Hey matt nice post I am going to try my hands on PPC but stuck at choosing tools for keyword research and this post really a life saver thanks again for this wonderful post matt. I tried many keyword research tools till date but my experience says that Google tools are the best for this. After all most of these tools are accessing Google’s data. Apart from Google Kyeplanner & trends I used Wordstream and Spyfu. And both of these tools are good and easy to use. Apart from these I always use LSI keywords from Google searches. But your list is superb and you mentioned so many processes and tools that I have to explore. Thanks Matt, for sharing the resource list with us. Another great tool is KWFinder.com. I love using them for keyword research. I like using Ubbersuggest along with the ones mentioned in the list as well. Can you let me know How to get last five year keywords searches data in G.A.K.P? Great post as ever Matt! A lot of tools that I have yet to use/test. SEMRush is the keyword tool which i am using for keyword research and for finding longtail keywords. I have used several paid and free alternatives for my clients but there are lacks of listing, where I can find a list of comprehensive tools. 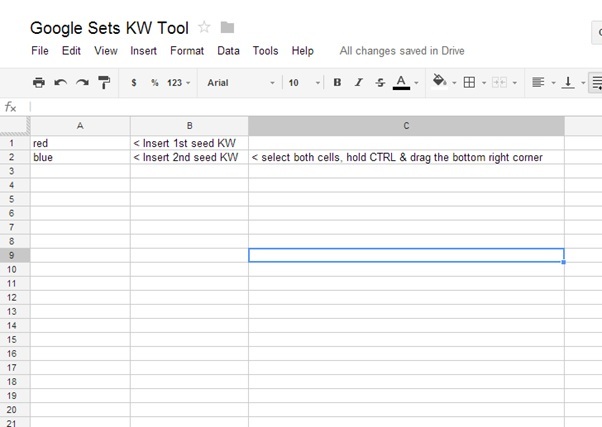 I personally Like Adwords Keywords Planner and Semrush tool. Hi Matt, It’s a nice post with lots of tool to be tested. Honestly I am very much friendly with Google Keyword Planner & Display Planner and currently using Semrush & Longtailpro. They are quite good and very much user friendly. Thank you. Nice tools covered! I’m currently using MOZ tools. The only tool from your list that I haven’t tried is SpyFu. Could also recommend SEMrush and SERPstat for PPC researches. I’ve been using SpyFu for a long time. Finally realized that $79 is too much for just 2 countries. I’ll stick to serpstat with it’s 15 countries for half the price. Also, no Russia or Yandex, what about those who’re focused on these regions? Hey. great post and thanks for the list. I personally recommend google keyword planner tool and Wordstream, what I use always. I think these tools give the required analysis and information that any marketer needs and its a google platform also. So, thank you so much for your kind suggestion, I will definitely use some of your preferable tools. Amazing list of tools. Wanna try sites mentioned above. Hope it will improve my keyword research to optimize my site and ppc.